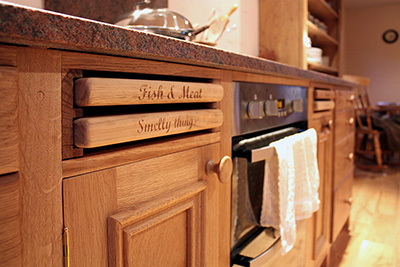 ASHS members design and build beautiful bespoke kitchens in oak, beech, sycamore and other Scottish hardwoods. 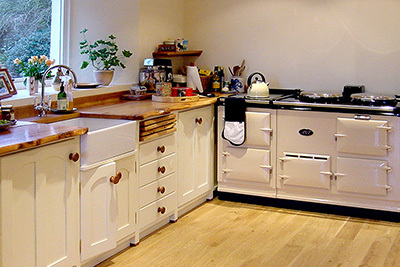 They also make single items of kitchen furniture - for example, kitchen cabinets and worktops. 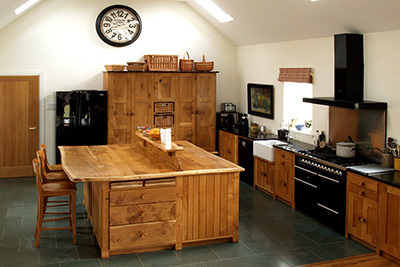 Each kitchen is made from Scottish hardwood, giving your kitchen warmth, style and character. 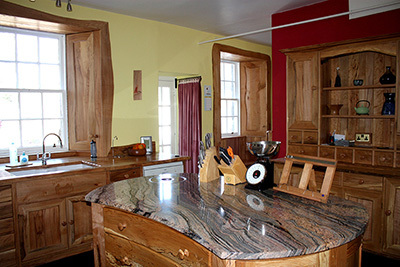 The beautiful kitchen worktops made by our members are usually made from planks of oak, beech, or sycamore. 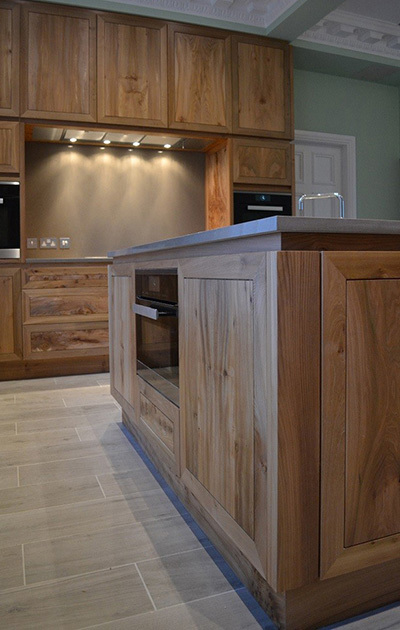 The extra width of a plank—in contrast to the narrow staves found in block worktops—allows you to see and appreciate the particular beauty of Scotland's home-grown wood. 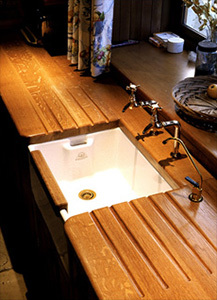 Many ASHS members also produce block worktops (made by gluing strips of wood together), which can be as wide or long as needed. 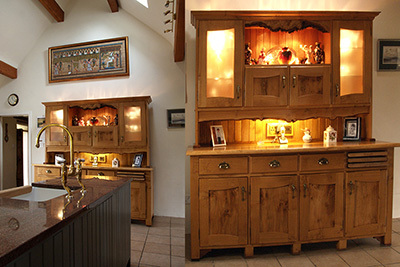 Kitchen cabinets or cabinet doors are also available in solid wood, as well as oak dressers and solid wood kitchen tables.